A project by Judith Barry exploring the many different ways women negotiate ideological, cultural and economic conditions in Cairo. 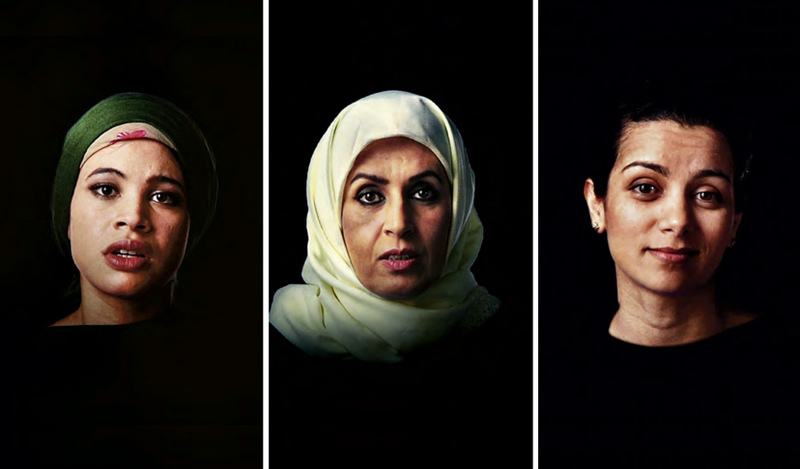 …Cairo stories is based on more than 215 interviews conducted with women from many social and economic classes in Cairo between the US invasion of Iraq in 2003 and the beginning of the Egyptian Revolution in 2011. The selection of stories featured in the installation chronicles the personal experiences of these women across a variety of social and economic classes in Egypt, and expands the artist’s concerns with notions of representation, history, subjectivity, and translation — particularly as these ideas circulate across cultures. The emotional integrity of each woman’s story is the crux of this project. The original interviews were conducted in simultaneous translation to maintain fluidity and integrity of tone and meaning. Barry considers these interviews to be collaborations between her and the subjects, insofar as the translators and interviewees were active participants in both the narrative arc of their stories and the development of the project as a whole. The interviews were also vetted by a diverse group of Cairene women where the social and political contexts of each story were considered. Fifteen stories were chosen that are representative of the specific cultural milieu of Cairo, a milieu that differentiates Cairo and Egypt from other countries in the Middle East. Since the 1970s, feminists such as Hélène Cixous have also written about the continued importance of self-historicization by women to ‘transform their history, to seize the occasion to speak.’ This philosophic position of écriture féminine directly addresses the transformation of subjectivity and the contention of sanctioned identity. It is through both writing and foregrounding the female voice that …Cairo stories opens a space for embodying a new subjectivity.